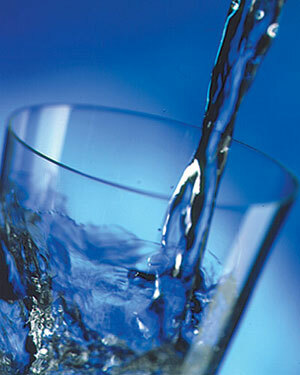 It is fairly common knowledge what the symptoms, and effects of dehydration are. These range from low blood pressure, to vasoconstriction (narrowing of your blood vessels, particularly unfriendly for asthma sufferers), to thirst, etc…: WebMD Info Everyone pretty much is aware of these health detriments, and the fact that avoiding dehydration is something of importance. The preferred method of achieving this goal is typically, and simply drinking more water. There is, however, another item of almost equal importance regarding hydration, drinking TOO MUCH water. Unfortunately, there is a common myth that I have observed proliferating throughout the social medias, and Interweb in general. It is the famous “You can never drink too much water…” myth. Actually, yes. YES, you CAN drink too much water, and it does NOT a body good. From leaching essential electrolytes to ultimately causing Kidney damage and even death, a la Dilutional Hyponatremia: Mayo Clinic Info So, what to do about drinking enough water, but not TOO much so we are not pushing our body to unhealthy extremes? Fortunately, ensuring that you are effectively hydrated on average is the easy part. There are many methods for achieving that goal, some involve calculations, others standard hydration behavior practices (e.g. Always have a bottle of water with you. ), apps for mobile devices and then there is the urine color chart. I find this method the easiest to employ for augmenting your behavior to ensure optimal hydration for a couple of reasons. First, we all urinate multiple times throughout the day, and second there are NO calculations, or formula memorizations necessary. The thumbnail below is a clickable image from a PDF chart published by the US Army Public Health Command, with the testing protocol in it. The test is easy to perform, but keep in mind the timing. A good idea is to observe in between meals, as well as not after taking supplements, or vitamins which can darken your urine color regardless of hydration level. While taking all this hydration information into account, it is important not to over consider any particular aspect. It is typically more common for people to be dehydrated than to be over hydrated. This is likely the main reason that thinking you can never drink too much water came to become a common mantra. The reality is, however, that you CAN drink too much on a daily basis, so it is prudent to keep in mind, and practice a healthy level of water consumption that matches the amount of water your body is actually using up. The above chart is a great way to help reduce the complexity of this task as well as help guide you to effective daily hydration practices. Go forth and water up, but hydrate accordingly!